We couldn’t be any more pleased with all the wonderful publicity we are getting from the award! The Mom’s Choice Awards® are terrific. The best part about MCA is the follow-through once the awards are presented. 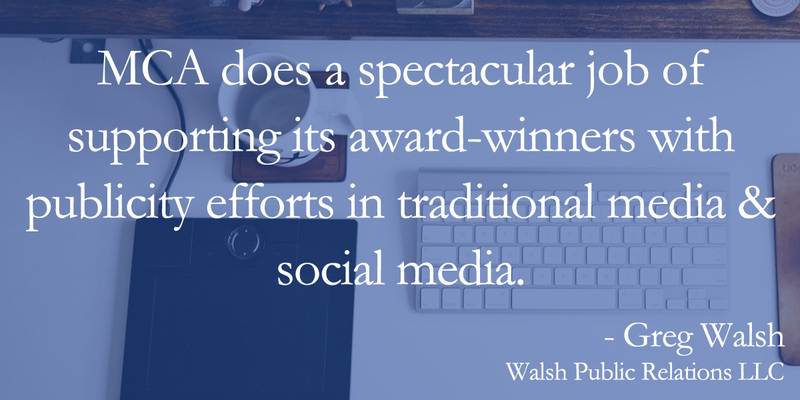 MCA does a spectacular job of supporting it’s award-winners with publicity efforts in traditional media and social media. MCA provides special offers (like trade show demonstrations) that would not be possible otherwise. Our clients have enjoyed tremendous benefits by having their products reviewed by MCA. Mom’s Choice Awards® goes beyond just awards. They work closely with manufacturers. 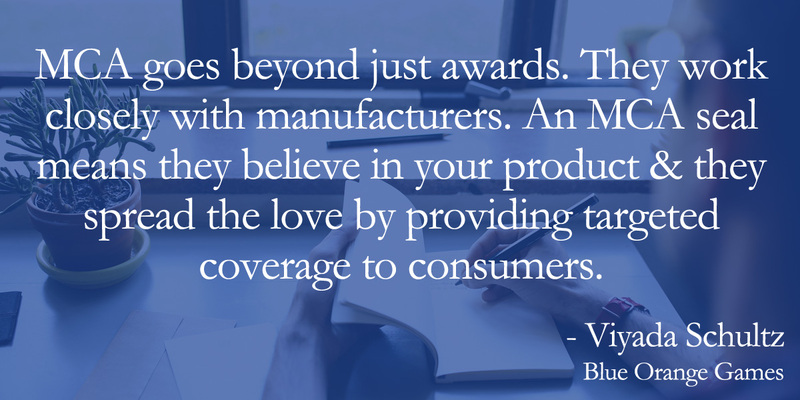 Earning their seal means they believe in your product, and they spread the love by providing targeted coverage to consumers. What I particularly love about Mom’s Choice Awards® is that it did provide the statistics. Since a big part of my career is speaking at schools and libraries, the Library eCatalog program seemed like a perfect fit. My publisher notified me of a sudden burst of sales after the program, so for me it was a success, and the reason why I entered MCA again this year. Thank you! I’ve had results like never before because of you! Your award pushed [my book] way beyond my wildest imagination! With your endorsement it has taken off. A Mom’s Choice Awards® social media campaign helped us increase our following significantly–roughly 50% on Twitter alone. 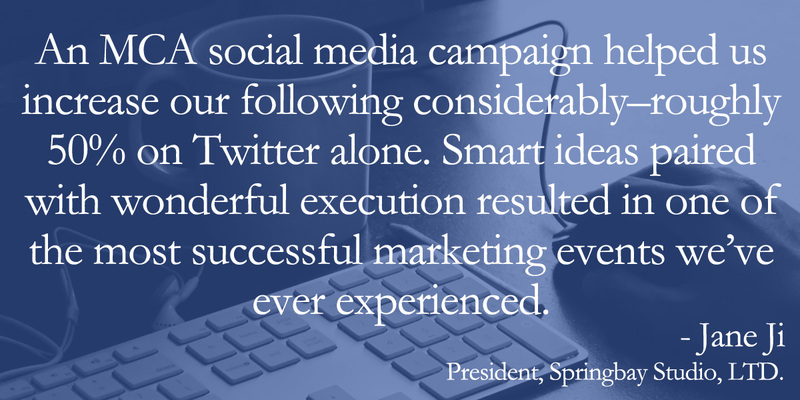 Smart ideas paired with wonderful execution resulted in one of the most successful marketing events we’ve ever experienced. 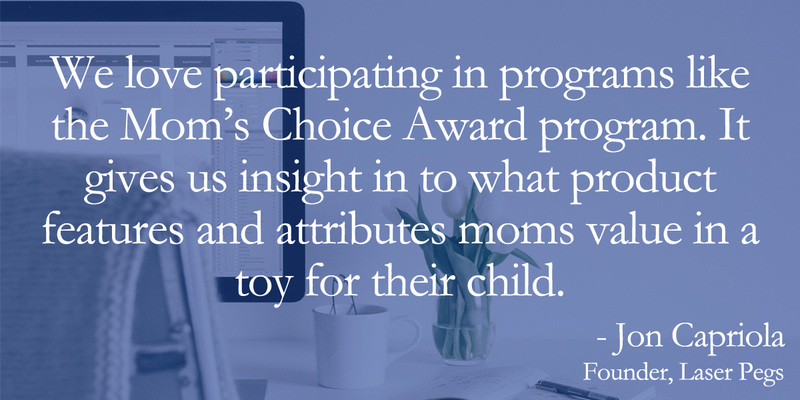 The Mom’s Choice Award® is one of several awards our book has been privileged to earn, and your organization seems to be the most supportive in measurable ways, the most available and approachable, and the most aware in terms of marketing support and experience. We love Mom’s Choice Awards®. 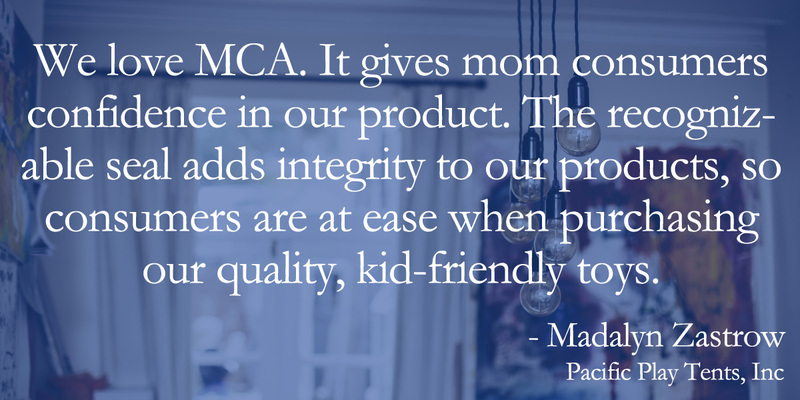 It gives mom consumers confidence in our product. The recognizable seal adds integrity to our product, so consumers are at ease when purchasing our quality, kid-friendly toys. We love participating in the Mom’s Choice Awards® program. It gives us insights into what features and attributes moms value in a toy for their child. I can speak from experience: marketing yourself in the children’s book world can be extremely difficult, but because of you guys at Mom’s Choice Awards®, I have to say I have had so many incredible opportunities and doors open up! I am so extremely grateful to you. I’m very grateful for the interaction MCA is providing…it is awesome! Thanks. Of all the awards we’ve won, your seals stand out! After winning a Mom’s Choice Award®, my Facebook page spiked! Almost 1,000 new likes! [At the] Reading Recovery Council of North American, the Mom’s Choice Awards® silver medal gave me a huge boost of credibility among all my peers. 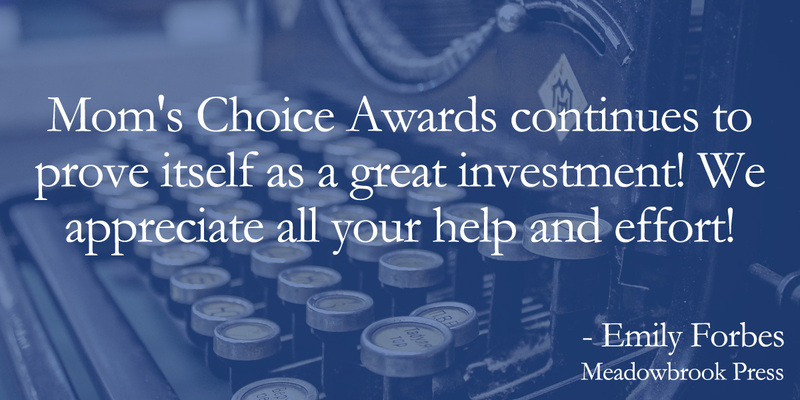 Mom’s Choice Awards® continues to prove itself as a great investment! We appreciate all your help and effort! I truly do not know what I would do without you! You do so much to help your honorees. It’s a pleasure working with you…What great work you’re doing! For us, new to the to industry, your work and awarding our games are worth more than gold! Thank you again! Many people seek out Mom’s Choice Award® winners! I just can’t thank you enough for all you do for your honorees–inclusion in the MCA webstore, notice on the Barnes & Noble website, media releases, etc. This honor is making a difference in how noticeable my books are. Unlike my previous works, I published these books myself and self-published books can be easily overlooked. Having the MCA emblem on the front helps buyers overcome this prejudice. I know well the respect this award has as well as the commitment staff have always shown to core values. But more personally, everyone has been welcoming, friendly, interested, and gracious. The customer service I receive when interacting with Mom’s Choice Awards has always been superb, but more importantly extremely helpful. This is how every company should be. Thank you. Mom’s Choice has been professional and great all along. Would that everyone in the industry were the same! Always a pleasure and reassurance, and it’s not only because we won an Award. Well done. The Mom’s Choice Awards® team is a fantastic group! We’re so very impressed with the entire Mom’s Choice Awards® team! You folks are absolutely wonderful. Wish you could orient and train CSR’s at other companies. One of the things that truly separates Mom’s Choice Awards® from other organizations is your responsiveness. You are absolutely terrific! I’m really impressed with the cordiality and professionalism of your company! The Mom’s Choice Awards® staff is the most helpful and friendly support team! The Mom’s Choice Awards® staff is always so quick and expedient in helping us! The Mom’s Choice Awards® support team is always super helpful! Thank you to all your staff for addressing my concerns each and every time with such kindness. Absolutely the best communication I receive – and I receive approximately 70 emails a day! You run such an excellent program. Mom’s Choice Awards® is truly a first class organization. You win my award for best among all awards programs! We are honored to be part of the Mom’s Choice Awards® family! Our authors were on cloud 9 after their MCA experience. How do I even begin to thank you? I still get goosebumps when I think of that magical moment when the news [of my award] arrived. You’ve changed my life. It makes us proud to have earned the seal of approval from an organization that clearly works for the benefit of all its stakeholders, authors, and customers alike. Mom’s Choice Awards® is a terrific, professional, very buttoned-up organization. It’s been a genuine pleasure working with all of you. You all are the BEST! You’ve certainly exceeded customer satisfaction!